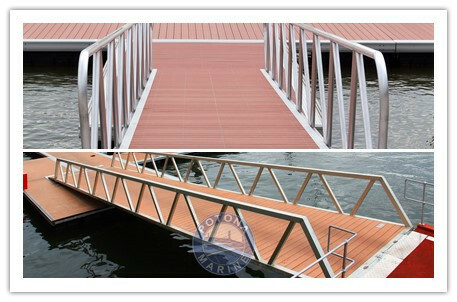 High quality aluminum alloy gangway, extra light and sturdy. The walkway is specially designed same as our other products, looks elegant. 1. The frame is made of marine grade 6061 (T6) series aluminum alloy, MIG welding. 2. 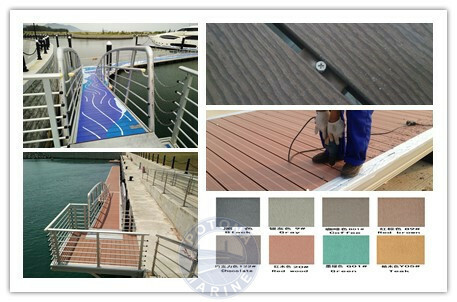 The decking of gangway is high quality anti-slip WPC or aluminum decking which fits the floating dock harmoniously. 3. 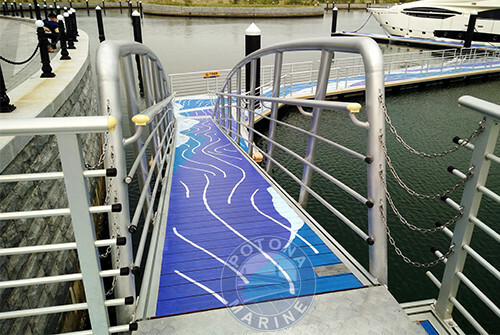 Handrails are equipped at both sides of gangway and meet the requirements for disabled. 4. Hinge joint between quay wall and top of gangway, lap joint between floating dock and bottom of gangway to fit the changes of water level.